The Shalom Center: Spiritual Roots, Prophetic ActionThe Shalom Center seeks to be a prophetic voice in Jewish, multireligious, and American life.The Shalom Center equips activists and spiritual leaders with awareness and skills needed to lead in shaping a transformed and transformative Judaism that can help create a world of peace, justice, healing for the earth, and respect for the interconnectedness of all life.We weave the human experience of our own day with Jewish spiritual tools, such as sacred texts, midrash, liturgy, and ritual.We connect the experience and wisdom of the generations forged in the social, political, and spiritual upheavals of the last half-century with the emerging generation of activists, addressing with special concern the planetary climate crisis and the power configurations behind that crisis.Within this broad mission, The Shalom Center’s leadership has chosen to emphasize three approaches:1. The Shalom Center seeks to reunify political action and spiritual search. We consistently reframe social action as the expression of spiritual commitment, drawing on the celebration of festivals, life-cycle ceremonies, and daily practice in ways that move and change the wider society.2. The Shalom Center focuses on issues and alternatives that other organizations are not addressing—a pioneering, prophetic approach. Sometimes this has meant becoming the “tugboat” that can nudge larger organizational vessels in new directions; sometimes it has meant becoming a “seed-bed,” nurturing ideas that sprout and flower in other fields.3. 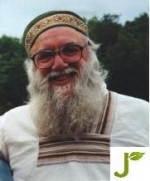 When The Shalom Center addresses a specific issue — like climate crisis, or the Iraq war, or the systematic combination of disemployment and overwork, or spiritual emptiness — our approach is deep and systemic, looking beneath the specific issue to the power dynamics that have shaped it.Jewish tradition underlines this question through the archetypal story of Pharaoh: enslavement, xenophobia and damage to the earth (the plagues) are rooted in Pharaoh’s addiction to his own top-down, unaccountable power. For example, in our pre-Passover message in February, 2008, we invited members of the Jewish community to deepen their understanding of the holiday by considering “Who or what is Pharaoh in our world today, bringing eco-disastrous plagues upon our heads? Can we face the Pharaohs who are turning the great round earth itself into a narrow place—Mitzrayim (the Hebrew word for Egypt, which actually means ‘Tight and Narrow Spaces’)?”Underlying Institutional ValuesSuccess means activating and mobilizing the broadest possible range of individuals and organizations to work for healing of the earth and our societies.We reject expanding the organization for expansion’s sake, creating additional infrastructure that is expensive and time-consuming to support; all additional expenditures and initiatives should be justified by results.Partnership is our main modality: by joining hands with other organizations, we can multiply everyone’s effectiveness and do more with less.Criteria for Setting PrioritiesWe prioritize projects according to three criteria:(1) Catalytic opportunities. If we don’t do a particular piece of work that needs doing, will anyone else? Can The Shalom Center be a catalyst in this area? (2) Strategic partnerships. Is there a strategic opportunity to inspire and attract others to focus on the issue? Are there potential partners who can be activated if we take early steps? (3) Resources. Are the resources available to support a level of work that will be inspiring and catalytic?Current ProgramsCurrently, two major program priorities drive The Shalom Center:(1) Addressing the Global Climate Crisis, especially drawing on Jewish and other religious teachings about shaping a sustainable society; coping with the problems created by unacccountable concentrations of corporate and government power in making change difficult; and working on these issues with special concern for those most vulnerable and most hurt as the climate crisis unfolds. The Shalom Center has sought to connect household and congregational hands-on “greening” with advocacy toward reshaping public policy. (2) Addressing unjust and destructive concentrations of political and economic power in the hyper-wealthy and in giant global corporations — power that corrupts democracy, including elections, and delivers enormous “benefits” to those who wield the power while depriving the poor, the aged, the sick, the middle class, and large numbers of women of ways to meet their individual and social needs. Spread over all of us the Sukkah of shalom, salaam, paz, peace! Are There Special Foods to Welcome Shmita?